Fortnite Season 8 has arrived, and it’s bursting with all sorts of new goodies. 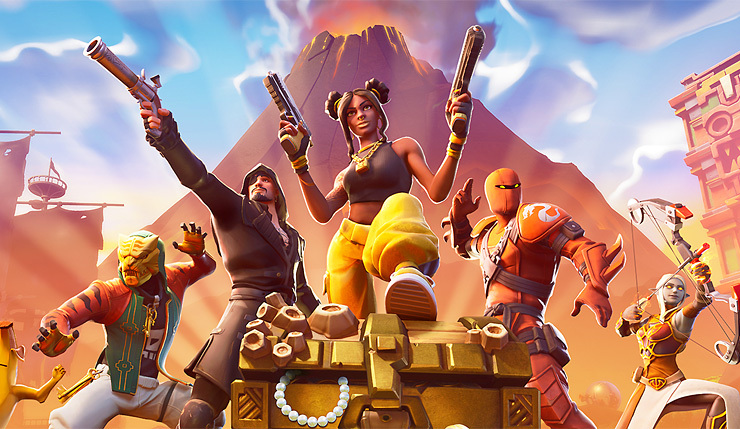 New points of interest have been added to the Fortnite map, including a red-hot erupting volcano, the Aztec-themed Sunny Steps, and the swashbuckling Lazy Lagoon. These changes have attracted all manner of new adventurers, including pirates, ninjas, and…a giant banana? Sure, why not? Check out cinematic trailer for Season 8, below. And here’s a look at some of the goodies available in the new Battle Pass. Those who completed all the challenges during the Share the Love event can get this Battle Pass for free – otherwise, it costs the usual 950 V-bucks (around 10 dollars). Placing World Markers remains on the same key for PC and console (KBM: Middle Mouse Button, Controller: D-Pad Left). This button can be remapped to any button you want. Let us know on our social channels what works best for you! Epic has also made some major changes to Fortnite’s Creative and Save the World modes. Most notably, Save the World is getting a major rebalancing and Hero Loadouts that let you customize your characters in a way you couldn’t before. The patch notes for the Save the World and Creative stuff are honestly too detailed to get into here, but you can check them out here. Fortnite: Can I borrow your homework? So, what are your thoughts on Fortnite Season 8? Not the most cohesive of updates, but there’s certainly plenty of fun new features. Fortnite is available on PC, Xbox One, PS4, Nintendo Switch, and mobile platforms.